Room to Grow is dedicated to enriching the lives of babies born into poverty throughout their critical first three years of development. Parents receive developmental information, customized support, and all of the needed baby items to ensure a healthy and secure start for their child. You and your family can make a difference in the lives of babies being raised in poverty by crafting playmats for Room to Grow clients. Ages: Families with children ages eight and older are welcome to volunteer. A parent must accompany all children. Contact: Email infoboston@roomtogrow.org for more information. Registration is available online. Space is limited. Must have a vehicle and valid driver's license. Navigation (Google Maps, Waze) or a good sense of direction. Willingness to deliver/pickup to/from Greater Boston suburbs. Ages: Families are welcome to participate. Adult supervision is required for those under 18. Registration is available online. Only the driver needs to register. Heading Home's mission is to end homelessness in Greater Boston by providing a supported pathway to self-sufficiency that begins with a home, together with critical services such as life skills, financial literacy and job training. Holiday vacation week, the time when children are off from school between Christmas and New Year's Day, is always a challenging time for our families. Beyond relying on school for child care, our families depend on school to provide two meals a day for their children. Fighting homelessness and poverty causes stress and anxiety on a daily basis as families worry about meeting basic needs. As a new holiday tradition, Heading Home would like to partner with YOU to help our families ENJOY winter break together, alleviating parents' burden and stress of providing healthy meals; entertainment; and the opportunity for creativity. These kits, supplied by our community, should be designed for four people and include a restaurant gift card, grocery gift card, passes to an activity (museum, Skyzone, movies, pottery studio, etc.) and a board game. Once the essentials are included, each kit can take on a theme by adding enhancements. Following are suggestions, and we welcome other ideas! Contact: Leora Kimmel Greene, lkgreene@headinghomeinc.org or 617.864.8140. Date/Time: Christmas Day, flexible between 10am and 2pm. Little Brothers volunteers make holiday visits and deliver meals to elders throughout the city who are without family or friends to celebrate the holiday. During the holiday season, volunteers are needed to provide companionship while delivering nutritious meals and beautiful flowers to the homes of elders throughout Boston. A car is helpful, but many elders are located on public transportation. Date/Time: Holiday Toy Drive runs through December. Drop off donations Monday through Friday, 9:30am - 4pm. Please call the front desk at 617.859.4545 when you are five minutes away and staff will meet you outside the front of the building for curbside assistance. If you need to make other arrangements for drop-off, contact Emma. Now in its fifth year, Room to Grow's Annual Holiday Toy Drive collects thousands of toys for babies in low-income families. During a child's first three years, toys play a critical role in helping babies learn and grow. At every three-month visit to Room to Grow, social workers guide families in choosing five educational toys to support their baby's development, preparing them for future learning and success. Register to hold a toy drive in your community. Donate new or nearly new toys appropriate for newborns through children age three. Purchase urgently needed toys from our Amazon wishlist. The Daily Table is a not-for-profit retail store that offers a variety of tasty, convenient, and affordable foods. The store offers both "grab-n-go" ready to eat meals, and a selection of produce, bread, dairy and grocery items at prices designed to fit every budget. Daily Table receives donations of surplus produce that must be sorted and organized for quality assurance. Volunteers are needed to sort through donations and triage produce for use in the commissary kitchen, for sale on the floor, and for composting. Volunteers may also help in the kitchen with food preparation, packaging, and labeling, or by preparing and distributing samples in our engagement zone. Plan to be busy and on your feet! By volunteering, you and your family will be helping to address the wastefulness of our food system, and actively contributing to increasing food security and improving diets in Boston. Make a donation for an immediate impact. Include your children in this process by asking them to contribute as well. Donate Food or Create a Food and Fund Drive. Go shopping with your children and bring them into the process. Learn about the Kids Who Care Program for children 10 and older. 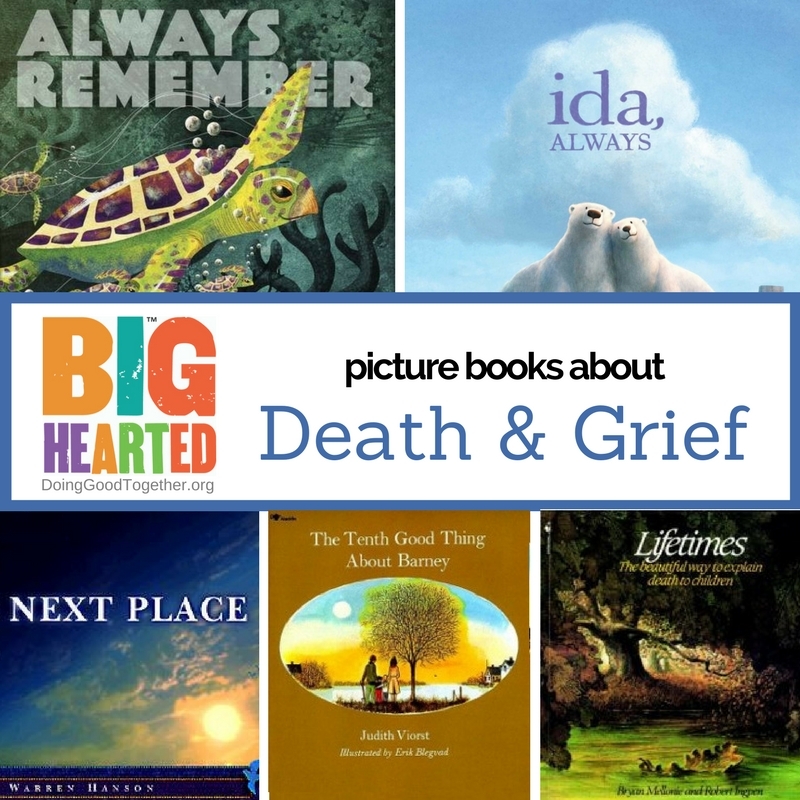 You've relied on DGT for tips, activities, book recommendations, and more. Now we have another resource to offer: our SHOP KIND Store. 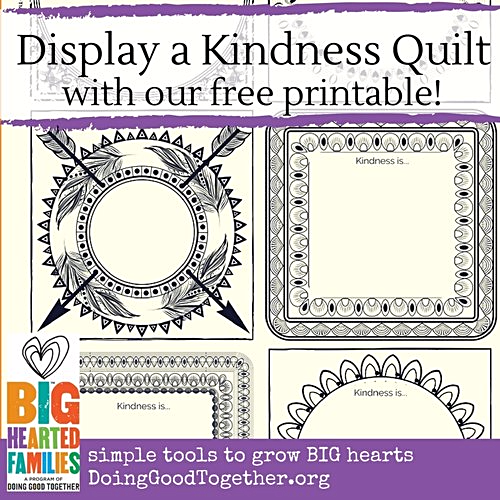 This online store now features a page of kindness-themed Amazon store items (because, yes, DGT is an Amazon Affiliate Advertiser). Coming soon: Another SHOP KIND page will be featuring like-minded organizations offering outstanding, mission-driven products. 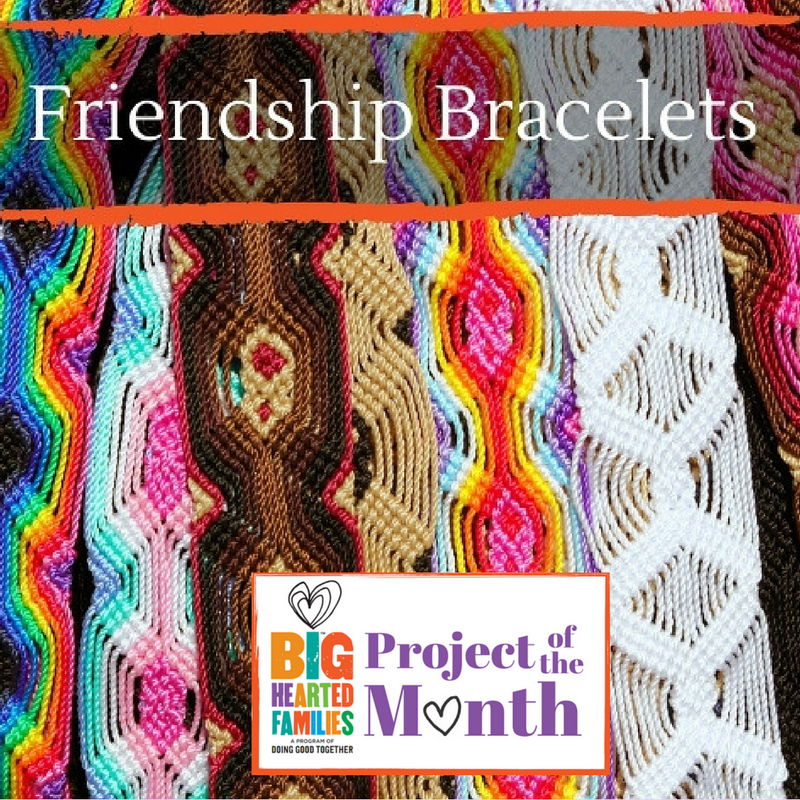 You'll be able to try these unique items for your next service project or when you're shopping for big-hearted gifts for yourself or others. We'll be launching soon and then continually adding more items, so revisit often to find something new. We think you'll like what we've found, and we look forward to your feedback and suggestions for more SHOP KIND products! 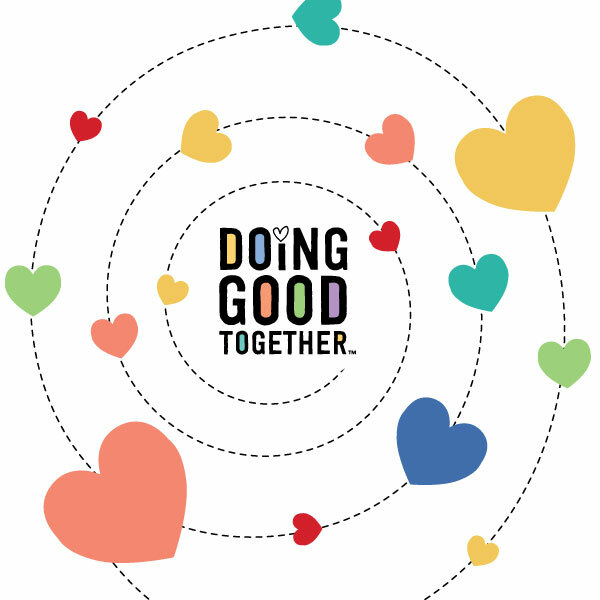 Doing Good Together and Heading Home are partnering once again to celebrate the holidays with service and compassion. With your family's help, we will assemble Thanksgiving Bags for Heading Home client families (mothers and children) so they have everything they need for a festive and delicious holiday meal. Our goal is to create 25 bags. Participant families will donate the materials needed for the bags such as Stop & Shop Gift Cards, canned goods, decorations, etc. Children can make holiday arts & crafts decorations and personalized cards. We gratefully accept donation drop-offs prior to the event if you cannot join us. Contact Kira for more info. Ages: Families with children 16 and under are welcome to participate. 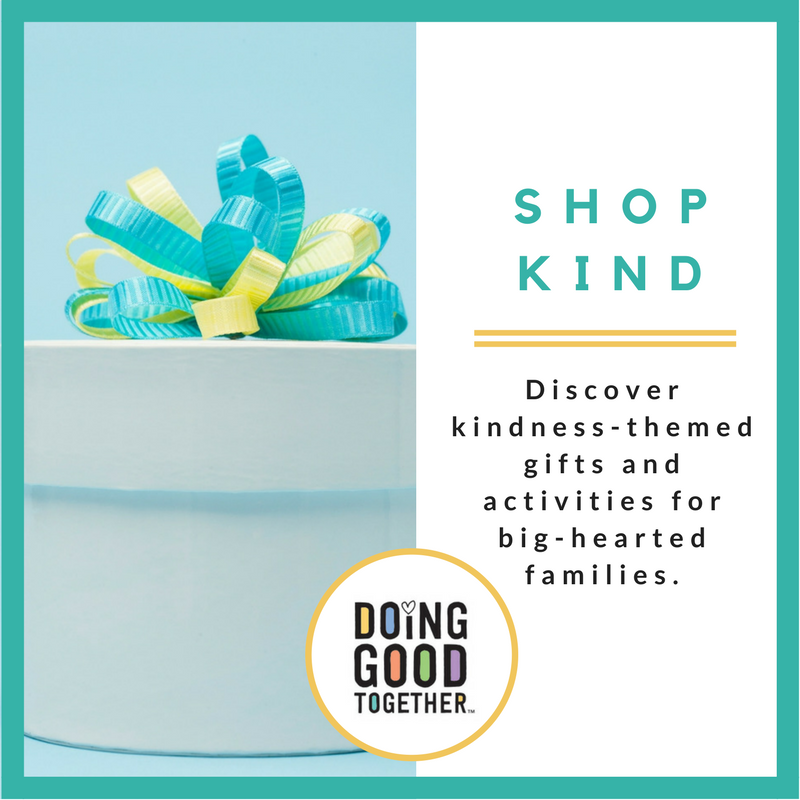 Contact: Kira Hower, kira@doinggoodtogether.org. Contact Kira to register and choose items to donate, Space is limited. Please sign up early! Ages: All ages are welcome. A guardian must accompany children. Time Commitment: Drop by any time between 12:00 and 2:00 on November 4th to make your card. Many children want to help animals on a farm, but the MSPCA requires children to be 16 or older to work with the animals. But younger kids can also experience what it's really like to roll up their sleeves and get a little dirty on a farm - cleaning cages and mucking stalls! That's why we offer the MSPCA at Nevins Farm's "Family Service Day" series. At the Family Service Day on the Farm, adult-child pairs are able to participate as hands-on volunteers at the MSPCA. Each group participates in three activities: an animal care chore, support chores, and an educational presentation that includes a fun activity and animal meet & greet. Animal care chores include cleaning cat cages, walking gentle dogs, or mucking horse stalls. This program is a fun and educational opportunity for families to make a meaningful contribution to the MSPCA's animal care efforts. Ages: This program is for children ages 6 - 10. Each child must attend with a parent or adult guardian. Contact: humaneeducation@mspca.org, 978.687.7453. Registration is available online. 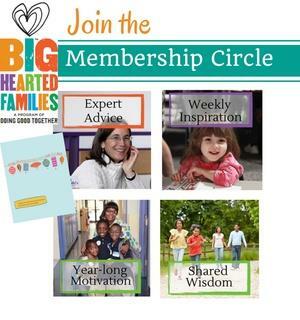 Families are also welcome to join our kids programs Facebook group! The Andrew Graham Semper Fi Fund is a 501(C)(3) public charitable organization created to honor the life of Corporal Andrew Graham Narcus (USMC). The Andrew Graham Semper Fi Fund was founded in 2012, ten years after Andrew's death. The AGSF Fund is volunteer-based and 100% of donations go directly towards endowing scholarships. The organization's mission is to generate funds through the Boston River Run fundraiser and endow scholarships at Massachusetts community colleges. Flat, family-friendly, scenic, safe 5K charity run/walk along the Charles River. Ages: Everyone is welcome to come but most opportunities will be best for older kids and adults. Younger kids are welcome to walk/run or cheer. Contact: Sarah Narcus sarah@agsffund.org. Click here for online volunteer registration and here to participate in the races. Join the Community Servings Pie Selling team on their 25th Anniversary! Pie Sellers help Community Servings sell more than 21,000 pies each year! Be a part of this one-of-a-kind Thanksgiving bake sale and sign up to be a Pie Seller. There's no fundraising minimum and you'll have access to tips and tools to make it easy to sell pies to friends, family, neighbors, and coworkers and reach your goal. It's a great activity for elementary and middle school children. They can form a team and become Pie Sellers. Ages: All ages, with an adult "Team Captain"
You and your children can help Community Servings during the home stretch of their Pie in the Sky pie sale with this very important task of picking up and delivering pies to locations around Greater Boston. Pies will be picked up from bakers and delivered to Pie Central. Then, completed pie orders need to be delivered from Pie Central to designated pick-up sites. Fill up your car, turn on your GPS and away you go! Pie in the Sky raises money to provide free, medically tailored and nutritional meals for Greater Boston's critically ill and their families. Community Servings provides a week's worth of meals each week to over 1,600 people. Contact: Taylor Stevens, Volunteer Coordinator, tstevens@servings.org or 617.522.7777, ext. 227. To sign up for a shift, please visit our volunteer opportunity website. Join the Community Servings Thanksgiving Meal Delivery team! Volunteers are needed to help deliver Thanksgiving meals to individuals and families living with critical illnesses across Boston. Volunteers will need to deliver meals in their own vehicle. (One person per vehicle to sign up for the shift.) All volunteers will go through a delivery orientation during the first half an hour of the shift and you will be prepared to deliver Thanksgiving Meals. Time Commitment: Deliveries can take anywhere from one to three hours. Come out and make a difference with families from all over Boston! Volunteers of all ages and their families and friends will gather to participate in the nation-wide Family Volunteer Day, a signature Points of Light day of service, powered by generationOn. Volunteers will work together to create ESOL learning materials for immigrants in Boston, including Journals, Lap Desks and Conversation "Jenga" games. Ages: Families with children ages 5 and older are welcome to volunteer. This project is open to Boston Cares members and pending members who have registered with Boston Cares. You do not need to have attended an orientation first in order to participate. Contact: First, please register and sign up online for any volunteers who are over 13. Then immediately email Allegra Marra at youth@bostoncares.org with 5-12 year old participants' full names and birthdates (00/00/0000). Date/Time: A variety of weekday and weekend shifts are available. Check the website for details. Cradles to Crayons offers families the opportunity to teach their children the values of service and philanthropy while volunteering together to help children and families in need. Every year, thousands of volunteers pass through the doors of the Cradles to Crayons Giving Factory warehouse to roll up their sleeves and help disadvantaged young children in Massachusetts. Volunteers help to quality-check, sort and package donations at our specific stations to ultimately be distributed to the children we serve. Ages: We allow children as young as 5 to volunteer. Any child under the age of 18 needs an adult present with them for the entire shift when they come to volunteer. Contact: volunteerboston@cradlestocrayons.org. Start the registration process by filling out the inquiry form on the Volunteer in the Giving Factory page. Date/Time: Flexible, this opportunity is available six days a week. Meals should be dropped off between 8 - 11am, prior day delivery can be arranged if needed. For the homeless women at On The Rise, a healthy and hearty meal enjoyed in a safe home is invaluable. They rely on the kind hearts and culinary talents of volunteers to cook a meal in their kitchen and deliver to On the Rise directly. 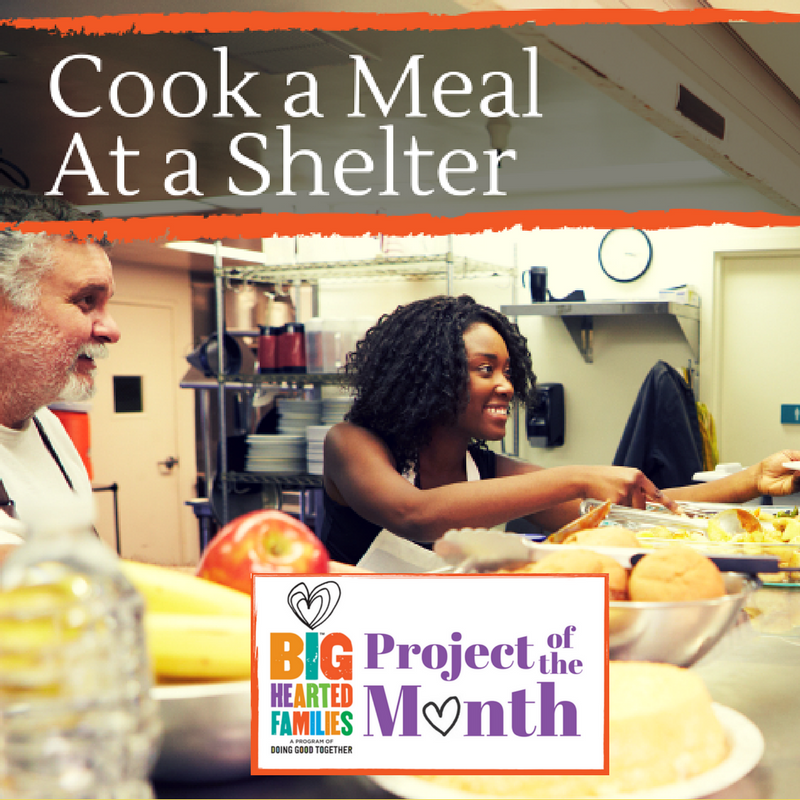 This volunteer opportunity fills one of their greatest needs by being able to offer a healthy and hearty meal to a woman who otherwise would not have many options. Don't shy away from this opportunity even if you don't consider yourself a cook; store bought and pre-made items are also welcome. As the women are as diverse as their palates, you choose what you would like to make; it is sure to be appreciated and enjoyed! Shopping, preparing and cooking these meals is a wonderful opportunity to give back with your children, as they can get involved at any age. To respect the privacy of the women, volunteers do not serve lunch at On The Rise. Lunch is set up family-style in the comfy kitchen and women help themselves. Entrée should serve 15 adults; sides and dessert are optional. Fresh fruit is encouraged with lunch donations. Click here for more specific lunch preparation and delivery information. Time Commitment: Flexible, this can be a one-time opportunity or you may sign up for multiple shifts throughout the year. Contact: Keyton Sheely, keyton.sheely@ontherise.org or 617.497.7968 x 36. Volunteers must preregister and registration is available online. Rescuing Leftover Cuisine aims to become the worlds most widely used volunteer organization for companies and individuals who wish to donate uneaten food. RLC has successfully recovered over 52,000 pounds of food, providing over 42,000 meals so far this year from their headquarters in NYC, and we are actively growing our Massachusetts branch to follow suit. We ask our volunteers to pick up surplus food from restaurants, events and weddings and deliver it to their local shelter or soup kitchen, who will then provide this food to those experiencing hunger in Massachusetts (about 10% of our State's population). Using a model similar to businesses like Uber and Lyft, volunteers have the option to claim or ignore any notification, depending on your schedule and location at the time. We believe in Power in Numbers: the more people we have signed up who are willing to participate, the better our odds of fulfilling our mission to feed the hungry. We aim to grow enough volunteers to provide food rescue throughout Massachusetts 24/7. This will result in more businesses and individuals being willing to donate food, and more hungry people benefiting from this collaborative effort. Whether you're 9 or 99, travel by 4 wheels, 2 wheels or 2 feet, you can volunteer! Ages: Families with children of all ages are welcome to volunteer. An adult must accompany children under age 16. Time Commitment: There is no set time commitment: Food Pickup Volunteers will receive a notification when there is food available within 4 miles from the address provided. Each volunteer has the option to claim or ignore that pickup. Altogether, each pickup takes about 20-40 minutes to complete (picking up at Food Donor and drop off at local Soup Kitchen or Shelter), depending on logistics. This is the American Diabetes Association's largest fundraising walk in New England. The money raised from this event goes towards the American Diabetes Association's mission to prevent and cure diabetes and to improve the lives of all people affected by diabetes. In order to run this event, the American Diabetes Association needs volunteers to ensure a smooth day of event experience for the participants. Roles vary, including set-up, clean up, greeting, registration, cheering, rest stop, helping at tents, and more. There is something for everyone! Time Commitment: Varies, dependent on volunteer role. Contact: Christina Sayer, csayer@diabetes.org or 617.482.4580 ext. 3502. Volunteer registration is available online. Date/Time: Sunday, October 22, between two to three hours. 9am: If interested, participate in setting up for the food distribution. 10:15-11:45am: Receive your assignment and pack and deliver groceries. You may arrive anytime during this time frame. You will receive a quick orientation and can then begin packing groceries for several families. Packing will take approximately 30 - 45 minutes. Your delivery location will not be more than 30 minutes from your hometown but not in your hometown for confidentiality reasons. The clients know that you are just dropping off the food and not visiting. Time Commitment: One to three hours depending on the activity. Volunteers can arrive at 9am to help with setup. Contact: Email familytable@jfcsboston.org at least two weeks before distribution date to sign up. All adult volunteers must complete a JF&CS administered CORI background check. Room to Grow is dedicated to enriching the lives of babies born into poverty throughout their critical first three years of development. Parents receive developmental information, customized support, and all of the needed baby items to ensure a healthy and secure start for their child. You and your family can make a difference in the lives of babies being raised in poverty by crafting playmats and tied fleece blankets for Room to Grow clients. Date/Time: Up to you! We recommend you choose a two to three-week period. Room to Grow is dedicated to enriching the lives of babies born into poverty throughout their critical first three years of development. Parents receive developmental information, customized support, and all of the needed baby items to ensure a healthy and secure start for their child. 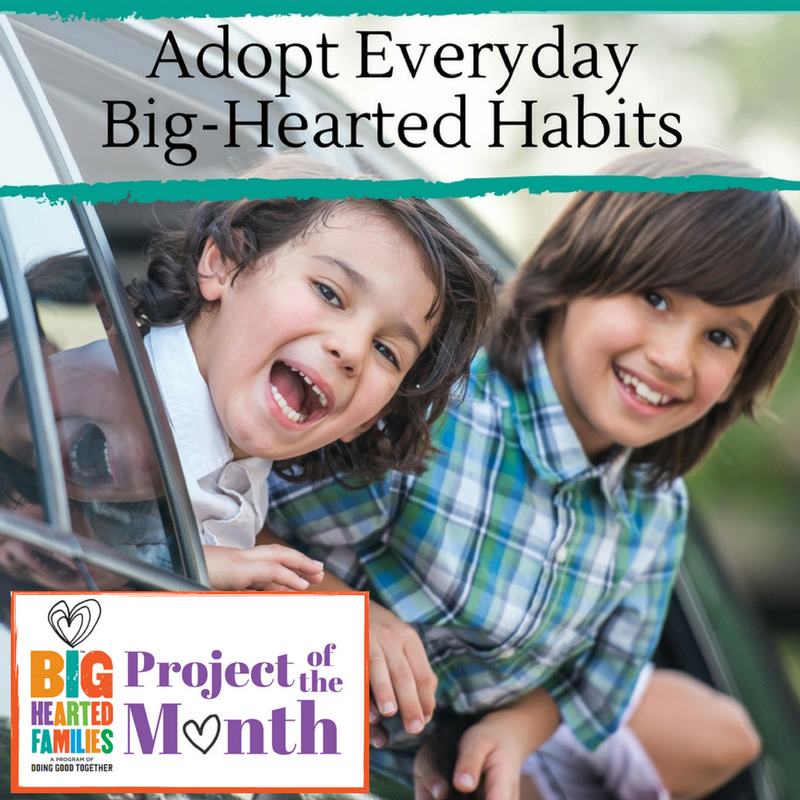 You and your family can make a difference in the lives of babies being raised in poverty by organizing a drive in your community or at your child's school for new or nearly new baby items such as toys, books, clothes, and gear. Hold a general drive, pick a special item (e.g. books), or do a themed drive! Click here for a list of the items we accept. Contact: Email infoboston@roomtogrow.org for more information and to receive customized flyers to help spread the word. Fresh, clean socks (and underwear!) are vital for people's health, warmth, comfort, and dignity, and are the least donated item to people in greatest need. The shelters we support give out over 8,000 pairs of socks each year. By participating in Operation Sock Drop you not only help keep our community's neediest, most vulnerable citizens safe, warm, and healthy, but you'll them help maintain their dignity and comfort during this most difficult time in their lives. Friends of Boston's Homeless supports the Woods Mullen Women's Shelter and the 112 Southampton Men's Shelter in the South End. These shelters serve over 800 homeless individuals every day. To get started, just download this flyer and share with everyone you'd like to participate. You and your family can help people who've spent years living on our streets and in shelters feel warmth and excitement as they move into their new place and get started on their new lives by providing the essential items we all need to make our house a home. By assembling and donating Housewarming Baskets, you'll be an important part of welcoming people into their new homes where they'll find the stability and serenity they need to begin their journey to hopeful, peaceful futures. It's as simple as assembling new (not used) items like cleaning supplies, dish soap, laundry detergent, toilet paper, a set of sheets or towels, in a basket to be given as a housewarming gift to someone about to move into a place of their own - many for the first time in their lives. And please include a welcome note, it will mean a lot to the person who receives it. We ask our volunteers to pick up surplus food from restaurants, events and weddings and deliver it to their local shelter or soup kitchen, who will then provide this food to those experiencing hunger in Massachusetts (about 10% of our State's population). With a model mimicking businesses like Uber and Lyft, volunteers have the option to Claim or Ignore any notification, depending on your schedule and location at the time. We believe in Power in Numbers: the more people we have signed up who are willing to participate, the better our odds of fulfilling our mission to feed the hungry. We aim to grow enough volunteers to provide food rescue throughout Massachusetts 24/7. This will result in more businesses and individuals being willing to donate food, and more hungry people benefiting from this collaborative effort. Whether you're 9 or 99, travel by 4 wheels, 2 wheels or 2 feet, you can volunteer! We ask our volunteers to pick up surplus food from restaurants, events and weddings, and deliver it to their local shelter or soup kitchen, who will then provide this food to those experiencing hunger in Massachusetts (about 10% of our State's population). With a model mimicking businesses like Uber and Lyft, volunteers have the option to Claim or Ignore any notification, depending on your schedule and location at the time. We believe in Power in Numbers: the more people we have signed up who are willing to participate, the better our odds of fulfilling our mission to feed the hungry. We aim to grow enough volunteers to provide food rescue throughout Massachusetts 24/7. This will result in more businesses and individuals being willing to donate food, and more hungry people benefiting from this collaborative effort. Whether you're 9 or 99, travel by 4 wheels, 2 wheels or 2 feet, you can volunteer! Date/Time: Saturday, September 9, 7:30am - 1:30pm. Check in at the Volunteer Tent, located to the left of the stage near the start line. Please arrive by 7:30am. Location: Boston Hatch Shell, 1 David G. Mugar Way, Boston. Please note - there is no onsite parking available. Volunteers are encouraged to use public transportation the day of the event. Check out Bostonheartwalk.org for nearby parking garages and transportation information. The Boston Heart Walk is the American Heart Association's premier event in the Greater Boston Area, bringing together about 10,000 people from the community each year. The event raises money to fund cardiovascular research and education, advocate for health, and save lives. By focusing on creating a culture of health, the AHA is striving to reach our 2020 impact goal of improving the cardiovascular health of all Americans by 20% and reducing deaths from cardiovascular disease and stroke by 20%, by the year 2020. Volunteer opportunities include directing walkers, manning water stops, working the healthy snacks tent, overseeing our Kids Heart Challenge obstacle course, and a variety of other tasks! Tasks begin at 7:30am with set-up, and conclude around 1:30pm with breakdown. Your task will be assigned to you upon arrival to the event. Ages: All ages are welcome to volunteer. Anyone under 18 will need a parent/guardian to sign a waiver. Time Commitment: It is ideal to stay for the entire event, but we will accept any help that you are able to give. Contact: Leigh Wynne, Event Coordinator, 781.373.4503, Bostonheartwalk@heart.org. Registration is available online. Please note your organization, company, volunteer group, or family name under "Company Name" on the form so we can do our best to assign you to the same station. Most importantly, the record-setting attempt must take place in an "enclosed" environment, and thus we need volunteers to surround the massive human peace sign holding a giant rope (this method is approved by the Guinness World Record organization). Volunteers will receive free entry on the day of the event! Ages: Ideally volunteers will be 12 or older, but families with younger children are welcome, with adult supervision. Contact: Rebecca Coll, rcoll@csrox.org. Volunteer and participant registration is available online. Click on the Tickets button and select the correct option. Location: Towns on the route include Dedham, Needham, Dover, Sherborn, Millis, Medway, Holliston, Westwood and Norfolk. Specific times and locations will be provided at a later date (after police have confirmed their details). The mission of Three Squares New England (TSNE) is to eliminate food insecurity through building out the capacity of local area hunger relief organizations by assisting with fundraising, visibility and community engagement. TSNE organizes an annual charity bike ride, the Ride for Food, to raise money for local food pantries, kitchens, community farms and food rescue organizations. Volunteer teams of two volunteers are needed to hold signs at "confusing" intersections along the 10, 25 and 50-mile routes. Click here for route maps. These volunteers hold bright yellow arrows to point cyclists in the right direction. All routes are well marked with arrows on the road; however, we have found that cyclists still get confused at certain intersections. Ages: Youth ages 12 and older can participate with a parent or guardian. Contact: Kati Sigel, kati@threesquaresne.org. Registration is available online. Date/Time: Sunday, September 24, 8am - 1pm; multiple shifts are available. Children's Activities: Help with a variety of activities that may include, games, face painting, crafts, etc. Promise Garden: Help hand out color-coded Promise Garden flowers to Walk participants to personalize, and then display them during the pre-Walk ceremony. Water stops: Hand out water along the Walk route to participants and cheer them on. Ages: Families with children ages eight and older are welcome to volunteer. Contact: Christine M. Brown, 617.868.6718, cbrown@alz.org. Register to volunteer by clicking on the purple "Volunteer" button on the Boston Walk page and following the prompts. Both Promise Garden and Water Stop are specific categories on the registration page. Children's Activities is not a category, but volunteers can indicate their preference for that area by filling in the comments section. Contact: Email infoboston@roomtogrow.org for more information or to sign up. Space is limited. DGT staff will offer step-by-step instructions, answer your questions and provide all the materials you need to find family-friendly volunteer opportunities in your community. 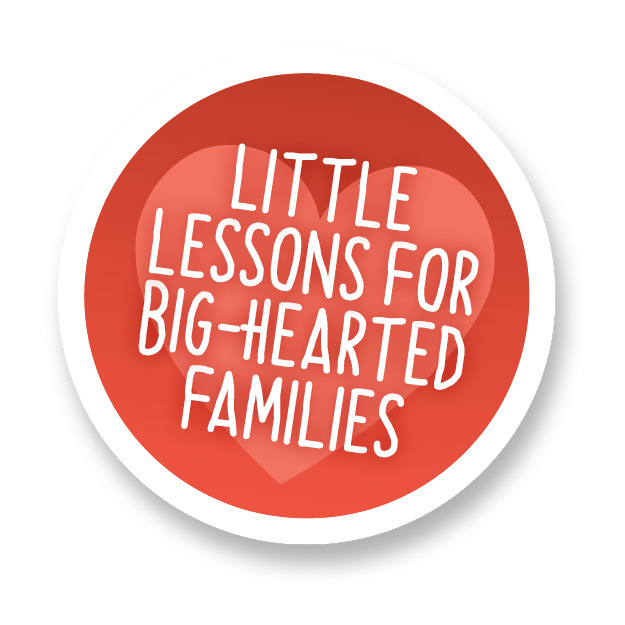 Learn about the great work of local organizations and help grow more big-hearted families -- all while working from home, on your own schedule! Community Harvest Project is a nonprofit farm that engages volunteers to grow fresh fruits and vegetables to provide to those experiencing hunger. Through our volunteer farming programs, education initiatives, and community partnerships, we bring thousands of community members together each year to improve access to healthy foods for individuals and families in need across Worcester County. The farm is a great place to help children understand how food is grown, about volunteering while impacting their awareness of hunger and our efforts to improve the food supply for those seeking hunger relief. No gardening experience is necessary. Please wear clothes you don't mind getting dirty. Bring a water bottle, hat, sneakers and sunscreen. Gloves are available onsite. All work is outdoors and in the fields, harvest happens rain or shine so please dress accordingly. Season length can vary due to the nature of farming, so check Facebook for up-to-date openings and closings. Time Commitment: Up to three hours per shift. Volunteer anytime Monday through Saturday, 9am-noon for as long as you like. With summer flying by, it's time to start getting ready for the upcoming school year by lending a helping hand to children in the Metrowest area. This is the sixth consecutive year of the Build-a-Backpack event, where the goal is to give away 330 backpacks full of school supplies to families in our community who need them the most. Every year, JFS collects school supplies for children ages five to ten through corporate donations and local supply drives. Volunteers (often families with young children) are asked to bring new backpacks to the event where they stuff them full of school supplies, choosing who the backpack will go to, i.e. 2nd grade girl, 4th grade boy, etc. Then JFS distributes the filled backpacks to the Woodrow Wilson Elementary School in Framingham as well as the parent information center for the Framingham Public Schools. Please bring a backpack or two with you. Contact: Kayla Hopkins at 508.875.3100 x220 or khopkins@jfsmw.org. Registration is available online. Contact: Keyton Sheely, keyton.sheely@ontherise.org or 617.497.7968 ext. 36. Volunteers must preregister and registration is available online. Many children want to help animals on a farm, but the MSPCA requires children to be 16 or older to work with the animals. Younger kids can also experience what it's really like to roll up their sleeves and get a little dirty on a farm - cleaning cages and mucking stalls! That's why they offer the MSPCA at Nevins Farm's "Family Service Day" series. At the Family Service Day on the Farm, adult-child pairs are able to participate as hands-on volunteers at the MSPCA. Each group participates in three activities: an animal care chore, support chores, and an educational presentation that includes a fun activity and animal meet & greet. Animal care chores include cleaning cat cages, walking gentle dogs, or mucking horse stalls. The program provides a fun and educational opportunity for families to make a meaningful contribution to the MSPCA's animal care efforts. Backpack Attack - Help fill 2500 backpacks! It's back to school time! As you prepare for getting back to school yourselves, collect and donate school supplies and new backpacks for needy children. You will be helping The Wish Project reach their goal of 2500 backpacks. New and filled backpacks are distributed to the children from more than 59 homeless shelters and other social service programs in the Merrimack Valley. Items must be NEW for this project. Check out the Backpack attack flier for items each backpack should contain. The contents are kept similar so that all children are gifted equally. Doing Good Together™ (DGT™) is looking to expand our volunteer team in Boston! goCreate: Craft 4th of July Cards & Decorations for Veterans! GoCreate is an initiative to engage youth and families in service. Boston Cares offers a hands-on portable project on one Sunday each month for kids to get crafty while making an impact. Each month's project will meet a community need and the completed goods will be donated to local agencies to fulfill that need. Join Boston Cares in July to brighten up a Veterans Fourth of July! Volunteers will create cards of thanks and appreciation to be distributed to community members at the New England Center & Home for Veterans in Boston. Volunteers will also be creating various decorations to be displayed in the center to celebrate the holiday. Contact: Katie Edelman, kedelman@bostoncares.org, 617.422.0910, ext. 208. Registration is available online and an orientation with Boston Cares is required. Volunteer spots fill up quickly so sign-up soon! Brookwood Community Farm's mission is to build a farm-centered community that members call their own. You can teach your children the joy of working with their hands, spending time outside, and the values of knowing where their food comes from as well as the importance of community service. Join us for family friendly volunteer days the second Saturday of each month during the growing season! We'll be doing fieldwork or a special farm project that even little hands can do. Don't forget snacks, water, sunscreen and a hat! Ages: Families with children of all ages are welcome. Children under age 12 must participate with a caregiver. Time Commitment: One and one-half hour shifts. Contact: education@brookwoodcommunityfarm.org. Registration is required to tailor the project to the group or provide activities while parents volunteer. Room to Grow provides parents raising babies in poverty with one-to-one parenting support and essential baby items throughout their children's critical first three years of life. Parents receive developmental information, customized support, and all of the needed baby items to ensure a healthy and secure start for their child. You and your family can help make a difference in the lives of babies being raised in poverty by crafting playmats for Room to Grow clients. Location: Pine Street site; please be sure to verify the location of the specific volunteer day that you signed up for. Check website for location and directions. Providing farm-based educational opportunities for learning about sustainable growing and nutrition. Increasing access to healthy produce for those in our community who experience food insecurity. Saturday volunteers help by harvesting produce for the Needham Community Council Food Pantry (if anything is ready). Then, volunteers will do other farm projects, such as bed preparation, moving compost, weeding, trellising, mulching and more. Learn more about volunteering here. Ages: Although families with children of all ages are welcome to volunteer, tasks vary over the course of the growing season. On a given day, there is a chance that there may not be tasks available that are appropriate for very young children, though they are still welcome to come and enjoy the Farm while supervised by their parent or guardian. Youth 12 years and younger must be accompanied by an adult or an older sibling (at least 15 years old) who will volunteer along with them. Contact: http://www.needhamfarm.org/individual-volunteers. Registration is available online. All volunteers must complete this online waiver form. Location: Select movie theaters throughout MA, RI, CT, NY, OH. The Jimmy Fund/Variety Children's Charities Theatre Collections Program is looking for local movie lovers with big hearts and a few spare hours to help raise money for cancer care and research at Dana-Farber Cancer Institute this summer. Now in its 68th year, the program launched in 1949 and is the Jimmy Fund's oldest annual fundraising effort. Since its inception the program has raised more than $30 million. Volunteers are needed to pass collection canisters to guests in movie theatres following a brief Jimmy Fund trailer. All contributions go directly to the Jimmy Fund, which supports lifesaving adult and pediatric patient care and cancer research at Dana-Farber Cancer Institute. Volunteers can earn exciting incentives from a volunteer t-shirt, to complimentary National Amusements movie passes, to Blue Man Group or Boston Red Sox tickets (while supplies last)! Volunteer and learn more today! The Girls on the Run Spring 5K is the culminating event of our spring season. Over 550 girls will complete their first 5K and we need your help to make the day super special for each one of them! Join us for the Girls on the Run Festival prior to the run to get pumped up for the run with music, bling your bib, and a photo booth. Volunteers are needed during the race to help at cheer zones and water stops. Ages: Volunteers younger than 16 may participate with a parent at one of the cheer zones or water stops. Volunteers 16 and older can also help with parking, course marshal tasks, registration, and merchandise sales. Contact: gotr5Kvolunteer@gmail.com. Volunteer registration is available online. 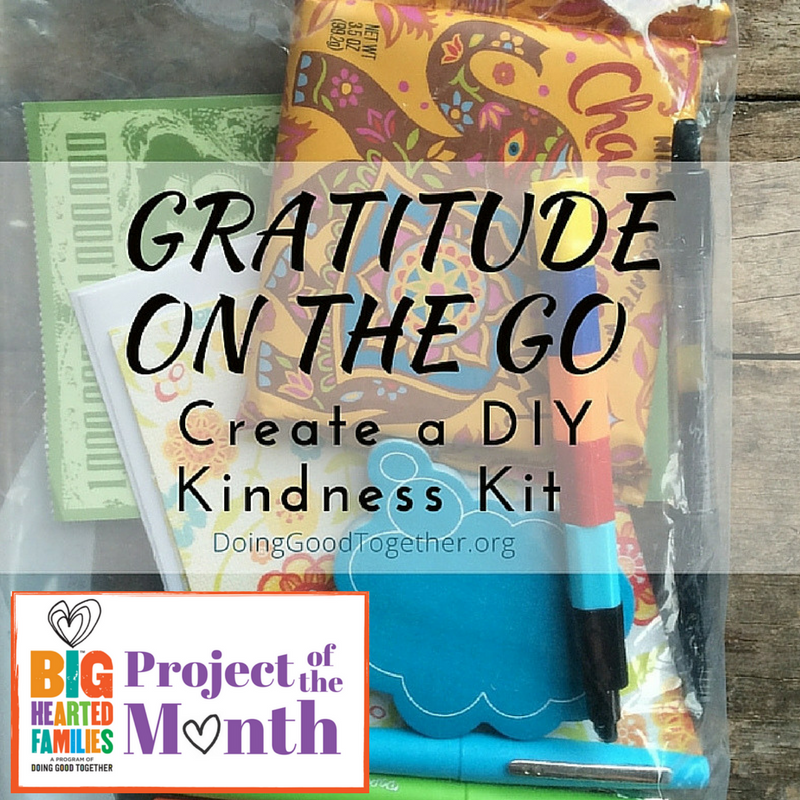 goCreate: Assemble Self-Care Kits for Kids! GoCreate is an initiative to engage youth and families in service. Boston Cares offers a hands-on portable project on one Sunday each month for kids to get crafty while making an impact. Each month's project will meet a community need and the completed goods will be donated to local agencies to fulfill that need. In June, volunteers will be creating and assembling items that promote self-care, positive coping strategies, and overall mental health. The kit will include items such as 'calm down' glitter jars, coloring books, reflection journals, and more! The kits will be donated to kids in the Boston community. Location: The orientation takes place at our office in Jamaica Plain at 3305 Washington Street. Following the orientation session, volunteers will create bouquets of flowers and choose 1-2 elders to visit across the city. All elders can be reached using the MBTA and many places offer free parking. Friendship & Flowers is an opportunity for people of all ages to connect. We provide the volunteers with flowers and information about the elders your family will deliver the flowers to and visit with. There is an orientation at 11:30 am that is essential for all volunteers. They will learn about our history, mission, and current volunteer opportunities. Ages: Families with children of all ages are welcome, but an adult must accompany volunteers under the age of 18. Contact: kidkindnessgroup@gmail.com. Registration is available online. Space is limited, with only 10 spots left! Once the maximum of 20 kids has been reached, registration will be closed. Do you like to garden? One out of six Americans is food insecure, meaning they don't know where their next meal will come from. No matter where you live, there are people in your community that are experiencing hunger. Food pantries help fill in the gaps but are continuously lacking in healthy, fresh produce to offer. Luckily, you can help alleviate this issue in your own neighborhood! By planting just a little extra to donate, you can improve the health of your community as well. When you donate your excess garden bounty, you are helping to relieve hunger and making an impact on obesity and other food-related diseases. Consider planting an extra row or even a few additional plants to donate to a local food pantry. And if you find yourself with a runaway zucchini plant or another bountiful crop that gives you more than you can eat, don't let it go to waste! Even a small donation will help increase food security in your area. Contact: You can find an interested local food pantry near you on the Ample Harvest website. Cradles to Crayons offers families the opportunity to teach their children the values of service and philanthropy while volunteering together to help children and families in need. Every year, thousands of volunteers pass through the doors of the Cradles to Crayons Giving Factory warehouse to roll up their sleeves and help disadvantaged young children in Massachusetts. Together, youth and adults inspect, sort, and package all new and like-new donations into customized "KidPacks." Ages: For safety reasons, all children present during a volunteer shift must be at least five years old. Volunteers under 18 years old must have a chaperone and a signed waiver form with them when they volunteer. GoCreate is an initiative to engage youth and families in service. Boston Cares offers a hands-on portable project on one Sunday each month for kids to get crafty while making an impact. Each month's project will meet a community need and the completed goods will be donated to local agencies to fulfill that need. Join Boston Cares in July to brighten up a veterans Fourth of July! Volunteers will create cards of thanks and appreciation to be distributed to community members at the New England Center & Home for Veterans in Boston. Volunteers will also be creating various decorations that will be put up in the center to celebrate the holiday. 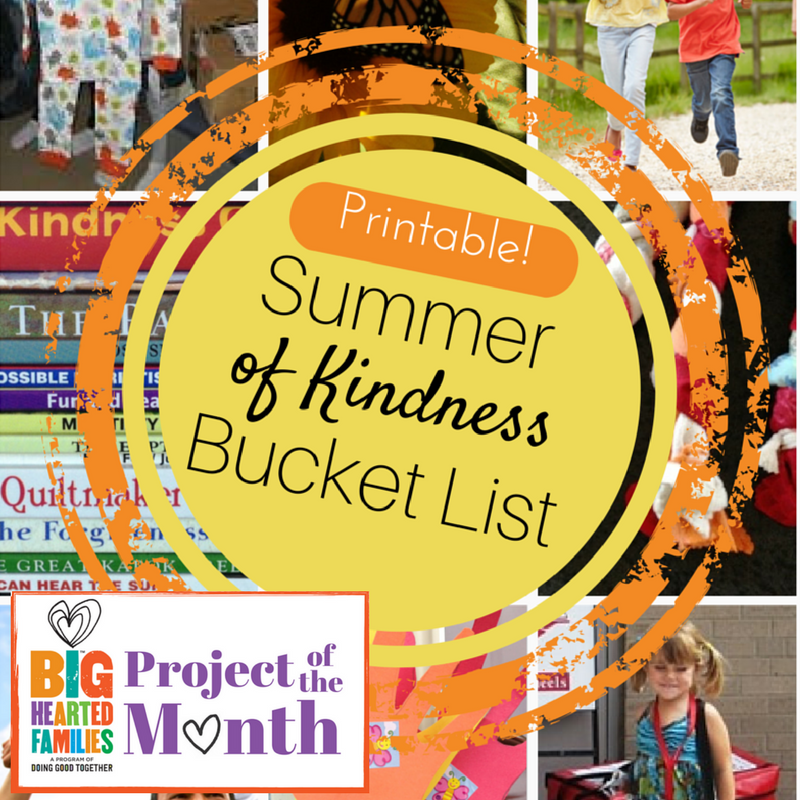 Let your summer family gathering, school reunion, or community event be a chance for big-hearted giving. 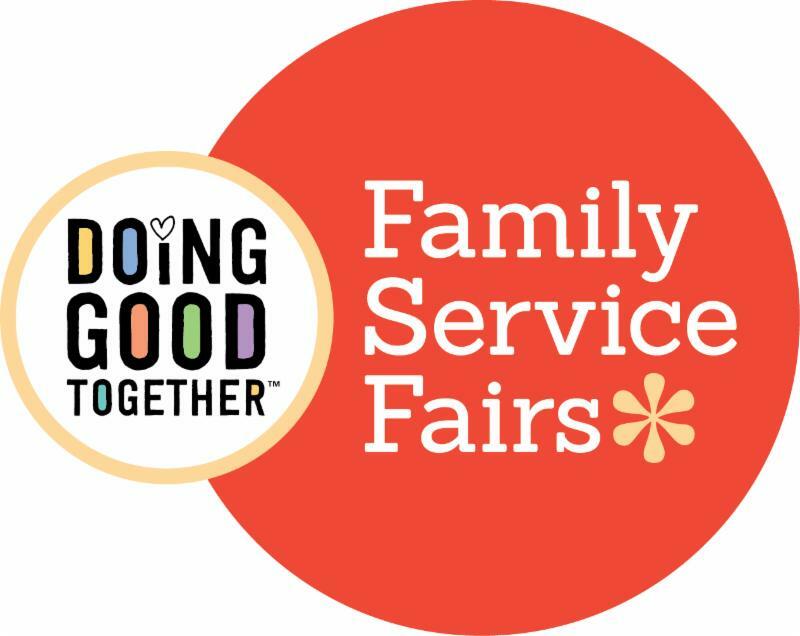 Our DGT Family Service Fairs are an ideal way for families to have fun while doing good for others as they connect with local nonprofits to help others in their community. And, our DIY Family Service Fair Manual makes them easy to host! Date/Time: Saturday, May 6. The Kick-off event will run from 8:30 - 9:30am; individual project times vary during the day. Location: The Kick-Off event will be at The Arsenal Project, 500 Arsenal Street, Watertown. Volunteer projects are located in various locations around Watertown. Watertown Helps Out is an annual volunteer day organized by the Watertown Community Foundation. Light refreshments will be available at the Kick-Off Event as everyone fuels up for a day of helping out, meeting other volunteers, and talking about the work of WCF and the other organizations participating in Watertown Helps Out. Free T-shirts will be handed out to volunteers at the breakfast. If you'd like to wear your T-Shirt from a prior year, please do! If you can't make it to the kick-off event, you can go directly to the site of your volunteer project. We will try to have some spare T-shirts at each location for those who can't make it to the breakfast. After the kick-off event, volunteers will head out to help local organizations garden, paint, clean up, and more! Ages: Check individual projects for age requirements. There are several projects that are available for families with children of all ages. Time Commitment: Most projects are between two to four hours. Help Nuday Syria pack shipping containers with clothes, bedding, hospital and medical items, food, and hygiene products. Making a container and sending it off is extremely demanding and hard work, but each shipment contains actual aid that reaches the people and hospitals in need within 6-8 weeks of being loaded. The NuDay Syria community has found each container to be a very rewarding and beneficial project. Volunteers are needed to sort, box, and pack items for women and children on the outskirts of Syria who have lost everything. Wear clothes you don't mind getting dirty (we're in a warehouse and you'll sweat). Bring a smile, an open heart, and a work ethic! The fruits of your labor are tenfold. Ages: All ages are welcome. Children must be supervised in the warehouse. The Mother's Day Walk for Peace is a celebration of our potential to create more peaceful communities. Every year families from across the state and region walk together toward peace because in unity, there is healing! The Mother's Day Walk for Peace is an annual fundraiser for families across the region to honor the lives of our loved ones who have been killed, celebrate the courage of community, and sustain the Peace Institute's programs and services. The Walk benefits the Louis D. Brown Peace Institute, a center of healing, teaching, and learning. Over the past twenty-one years, the Mother's Day Walk has become a time-honored tradition where families of homicide victims can honor the memory of their loved ones and neighbors can commit to creating more peaceful communities. Every year thousands of people participate including survivors, allies, business owners, elected officials, providers, the faith community, and law enforcement. We would love to have families come and volunteer for the walk. Families can help out by being "cheerleaders" along the walk to encourage and direct our walkers, or families can work at one of our tables handing out maps, buttons, flyers and fun swag! Contact: kidkindnessgroup@gmail.com. Registration is available online. Contact: Email familytable@jfcsboston.org two weeks before distribution date to sign up. All adult volunteers must complete a JF&CS administered CORI background check prior to volunteering. GoCreate is an initiative to engage youth and families in service. 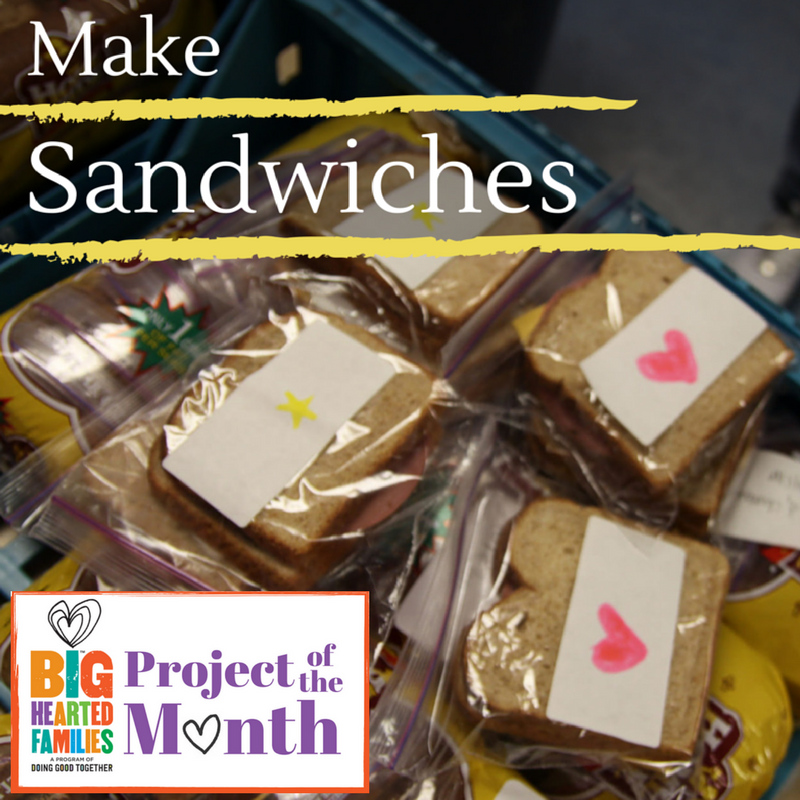 Boston Cares offers a hands-on portable project on one Sunday each month for kids to get crafty while making an impact. Each month's project will meet a community need and the completed goods will be donated to local agencies to fulfill that need. 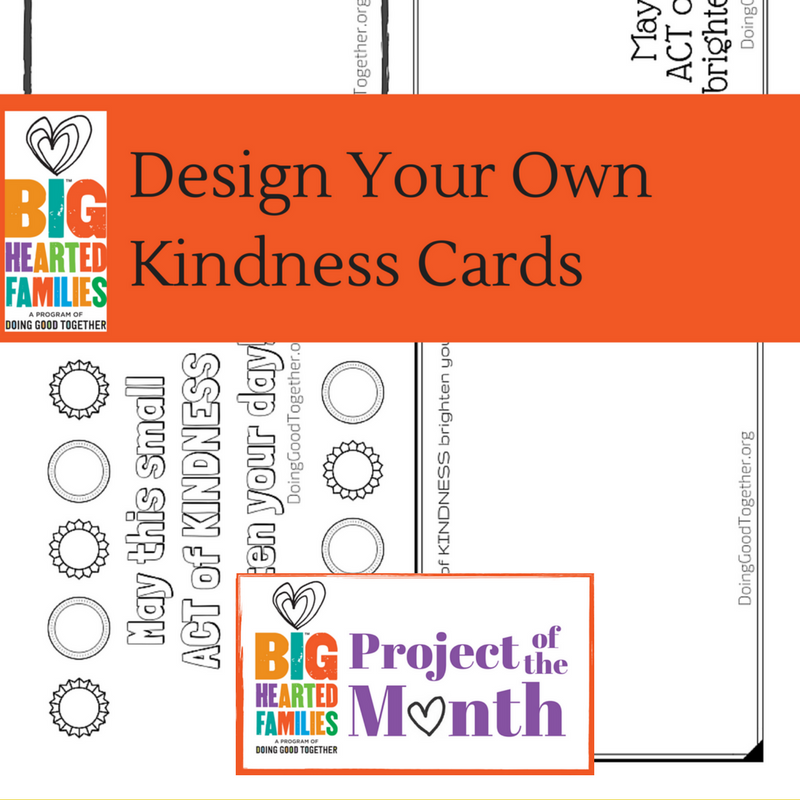 In April join Boston Cares at Ethos to create crafts and cards for the elderly and disabled. Ethos is a non-profit organization that serves over 3,000 individuals and families in the Greater Boston area, assisting the elderly and disabled to live at home. Cards will be donated to seniors through one of their many impactful services to brighten up a seniors' day. Contact: Katie Edelman, kedelman@bostoncares.org, 617.422.0910, ext. 208. Registration is available online and an orientation with Boston Cares is required. Help Nuday Syria with packing shipping containers with clothes, bedding, hospital and medical items, food, and hygiene products. Making a container and sending it off is extremely demanding and hard work, but each shipment contains actual aid that reaches the people and hospitals in need within 6-8 weeks of being loaded. The NuDay Syria community has found each container to be a very rewarding and beneficial project. Volunteers needed to sort, box, and pack items for women and children on the outskirts of Syria who have lost everything. Wear clothes you don't mind getting dirty (we're in a warehouse and you'll sweat). Bring a smile, an open heart, and a work ethic! The fruits of your labor will be tenfold. Cradles to Crayons offers families the opportunity to teach their children the values of service and philanthropy while volunteering together to help children and families in need. Every year, thousands of volunteers pass through the doors of the Cradles to Crayons Giving Factory warehouse to roll up their sleeves and help disadvantaged young children in Massachusetts. Together, youth and adults inspect, sort, and package all new and like-new donations into customized "KidPacks". The mission of EPH is to support families in our community in reaching their full potential through early childhood education, youth development and enrichment, and family services. Volunteers are needed to unload the food donation van and stock the pantry with the donated items. Volunteers will be required to carry some heavier items. All volunteers should dress appropriately for the weather as they will be in and outdoors when transporting items; be sure to wear sneakers or work boots (no open-toed shoes or sandals, please). Ages: Children are welcome but must be supervised. An adult must supervise children under ten. NuDay Syria needs help sorting, packing and loading donations into containers that will be shipped to northern Syria. These containers will be filled to the brim with clothes, bedding, hospital and medical items, food, and hygiene products. Making a container and sending it off is extremely demanding and hard work, but each shipment contains actual aid that reaches people and hospitals in need within 6-8 weeks of being loaded. Ages: All ages are welcome to participate but children under 12 must remain with an adult and be supervised. We encourage families to attend and serve together! Contact: familytable@jfcsboston.org, 781.693.5593. Please note that advance sign up is required and all adult volunteers must complete a JF&CS administered CORI background check. Location: Full opportunity address and directions will be sent to you by email after you sign up. 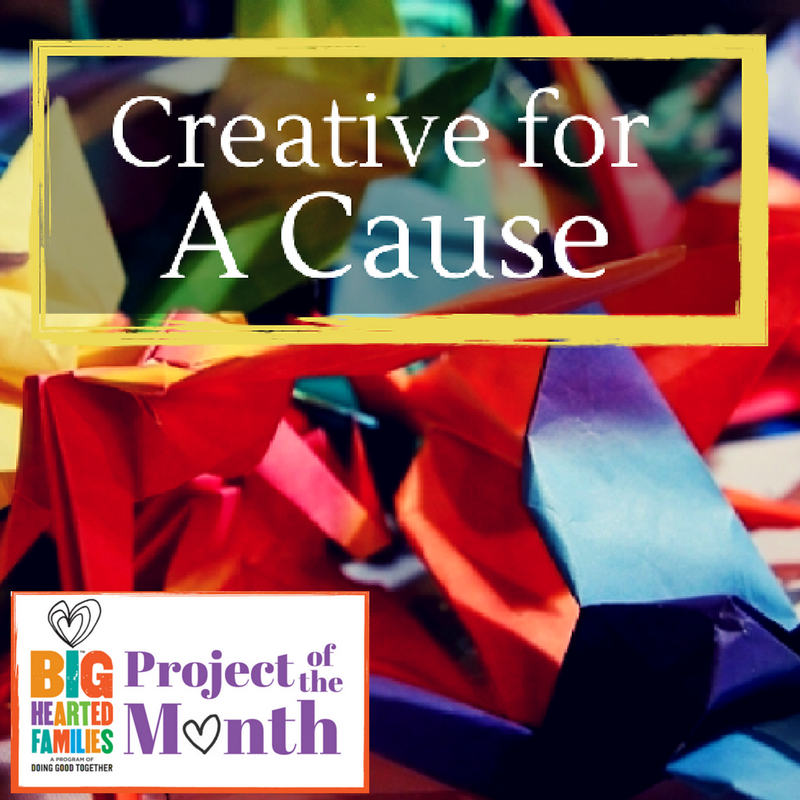 Join Boston Cares in March for a goCreate in collaboration with the Boston Cares Disaster Program for a preparedness related craft! Participants will be assembling emergency preparedness binders, prepping a sustainable meal to add to their preparedness kit, and packing folders for distribution. Each family will be able to take home an emergency binder for personal use, as well as a preparedness meal to jumpstart their readiness. You can help Boston Friends for Refugee Support assemble beauty bags to donate to refugee women. Please bring some of the following items with you to the event; hopefully we will be able to put together a ton of lovely and diverse offerings. We will also make notes to attach to each of the kits! If you can't make it to Brookline on this day, feel free to put together beauty bags on your own and drop them off in a bag labeled "You are Beautiful"
By joining the Fight for Air Climb, you are helping to make a positive impact in the lives of those affected by lung disease. Participants raise funds to support the mission of the American Lung Association while training to climb the stairs of a skyscraper, stadium, or other landmark building. Make the most of your experience and climb as a part of a team. Teams consist of friends, family and co-workers who want to help raise awareness and funds to support research, patient programs and advocacy efforts. Children and families can climb! Participants must be at least ten years old. There is a fundraising requirement of $100 that is due on/by the day of the event. Volunteer duties include registration/check-in, water/rest stops, finish line, and cheering squad. Accompanied by a parent or guardian, children will read out loud to an adoring canine, feline, or even rabbit audience in this fun family event. While your child practices reading, you'll also be providing valuable social time to our adoptable animals. Bring your favorite book, or borrow one from the MPSCA library. Ages: For children ages six to ten and a parent/guardian. All participants must have a parent or guardian present for the duration of the program. This event is appropriate for children who are learning to read, and/or could benefit from some practice reading out loud (~ 1st - 4th grade). Please note that due to the nature of this program, and the limited space, we regretfully cannot accommodate younger siblings at this event (or any other unregistered guests). Contact: humaneeducation@mspca.org. Advanced registration is required and is available online. Families are also welcome to join our kids programs Facebook group! Many children want to help animals on a farm, but the MSPCA requires children to be 16 or older to work with the animals. Younger kids can also experience what it's really like to roll up their sleeves and get a little dirty on a farm - cleaning cages and mucking stalls! That's why they offer the MSPCA at Nevins Farm's "Family Service Day" series. Eleven times a year (most often on a Monday holiday), adult-child pairs are able to participate as hands-on volunteers at the MSPCA. Each group participates in three activities: an animal care chore, support chores, and an educational presentation that includes a fun activity and animal meet & greet. Animal care chores include cleaning cat cages, walking gentle dogs, or mucking horse stalls. The program provides a fun and educational opportunity for families to make a meaningful contribution to the MSPCA's animal care efforts. Ages: This program is for children in grades 2-6. Each child must attend with a parent or adult guardian. Contact: Taylor Bartley, taylor.bartley@ontherise.org or 617.497.7968 x 36. Volunteers must preregister and registration is available online. Join us in March for a goCreate project in collaboration with the Boston Cares Disaster Program. Volunteers will be working on preparedness related craft! Room to Grow provides parents raising babies in poverty with one-to-one parenting support and essential baby items throughout their children's critical first three years of life. Parents receive developmental information, customized support, and all of the needed baby items to ensure a healthy and secure start for their child. Volunteers can help make a difference in the lives of babies being raised in poverty by crafting playmats for Room to Grow clients. Contact: Email patricia.hunter@roomtogrow.org for more information or to sign up. Space is limited. For MLK Day 2017, Boston Cares has created opportunities for 750 volunteers to support Boston youth through STEM education tools and beds for kids in need. 650 MLK Day volunteers will create "make your own robot kits", engineering kits, science-themed murals, math games and math flash cards for Boston Public Schools, providing classrooms with exciting tools for learning. Additionally, 100 volunteers will join us in launching our new twin bed design, for children who do not have a bed of their own. 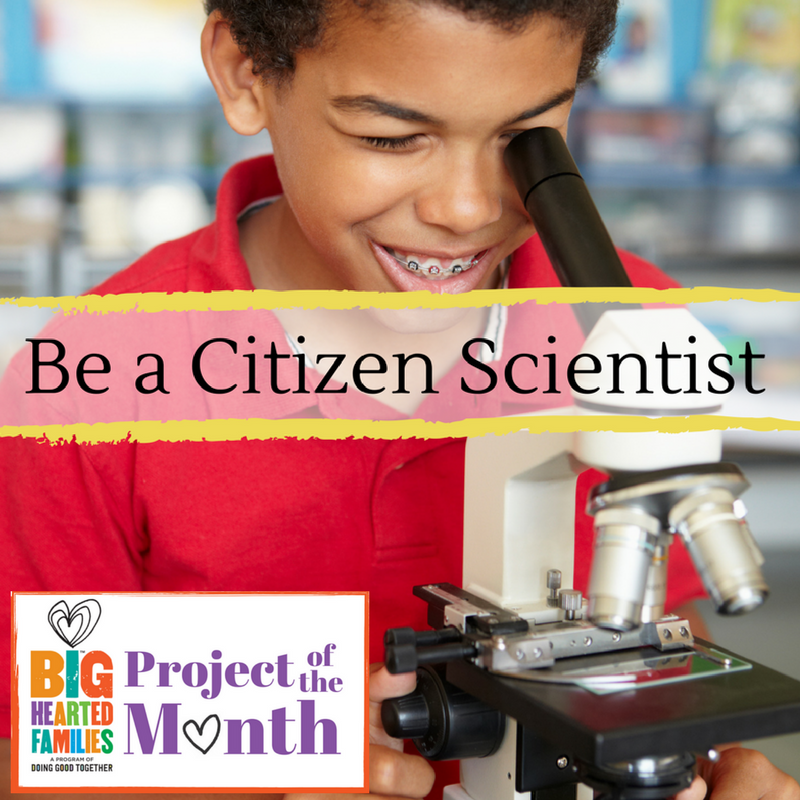 Volunteers will select a STEM tool activity station based on age and interest. 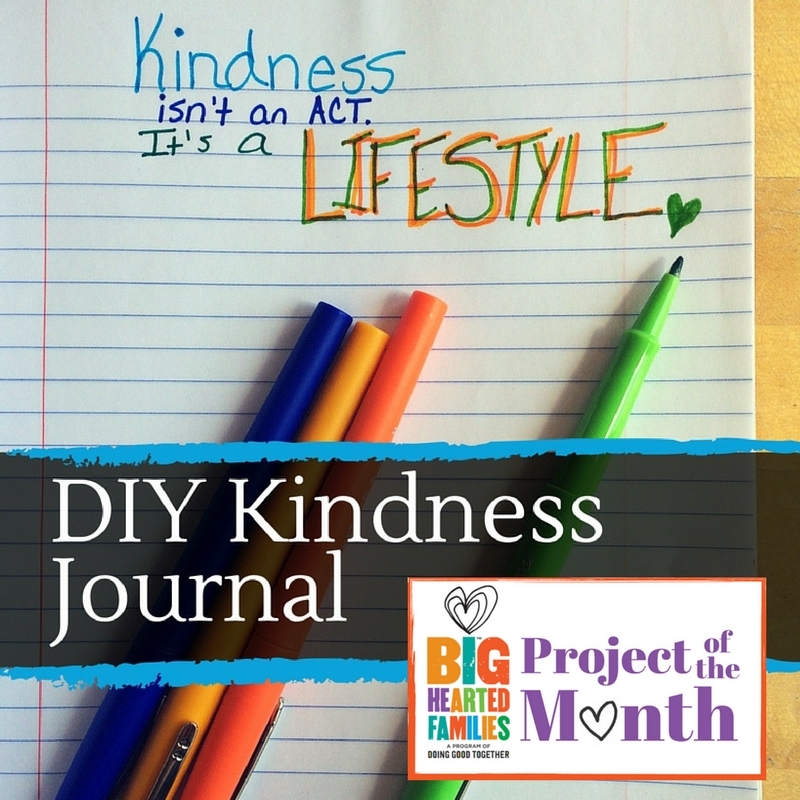 There is a project for all ages! Completed STEM tools will be distributed to Boston Public Schools, and beds will be distributed to agency partners serving low-income and homeless families in our community. Ages: Children as young as five and their families are welcome to attend. Contact: Allegra Marra, amarra@bostoncares.org or 617.422.0910 ext.206. Pre-registration is required and available online. Space is limited so sign-up soon! Making fleece scarves and blankets for homeless children and adults. Making Valentines for elders and veterans. Sorting food, winter clothing, books and toiletries for people in need and more. Don't come empty handed! Bring a can of food, a children's book or a gently used item of winter clothing. Contact: info@manyhelpinghands365.org. Registration is available online . Fresh, clean socks (and underwear!) are vital for people's health, warmth, comfort, and dignity and are the least donated items to people in the greatest need. The shelters we support give out over 8,000 pairs of socks each year. By participating in Operation Sock Drop you not only help keep our community's neediest, most vulnerable citizens safe, warm, and healthy, but you'll them help maintain their dignity and comfort during this most difficult time in their lives. Friends of Boston's Homeless supports the Woods Mullen Women's Shelter and the 112 Southampton Men's Shelter in the South End. 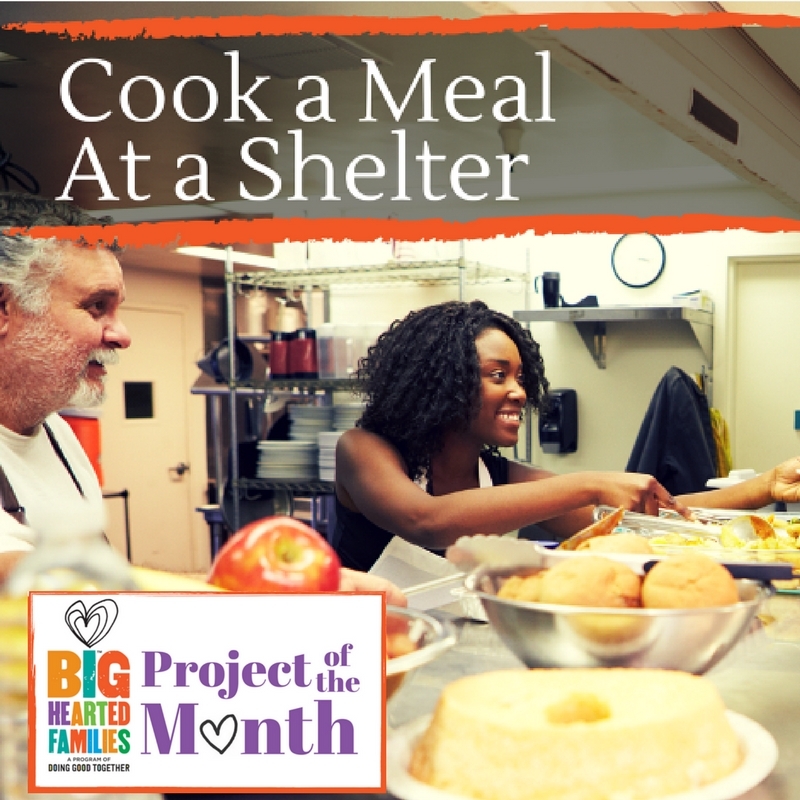 These shelters serve over 800 homeless individuals every day. To get started, just download this flyer and share it with everyone you'd like to participate. You and your family can help people who've spent years living on our streets and in shelters feel warmth and excitement as they move into their new place and get started on their new lives by providing the essential items we all need to make our house a home. By assembling and donating Housewarming Baskets, you'll be an important part of welcoming people into their new homes where they'll find the stability and serenity they need to begin their journey to hopeful, peaceful futures. It's as simple as assembling new (not used) items like cleaning supplies, dish soap, laundry detergent, toilet paper, a set of sheets or towels, in a basket to be given as a housewarming gift to someone about to move into a place of their own- many for the first time in their lives. And please include a welcome note, it means a lot to the person who receives it.